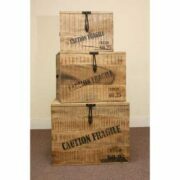 This beautifully crafted Rajasthan teak trunk, solid in construction, provides an ideal storage option. 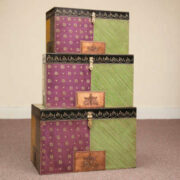 This beautifully crafted trunk is made from native Indian teak wood, valued for its durability and water resistance. 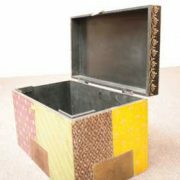 It is solid in construction and further strengthened with brass metal inlays – giving an appearance of a ‘campaign-style’ trunk. 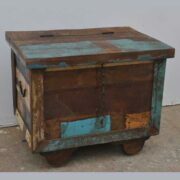 It has turned ‘dome’ feet, adding to its atttractive nature, while also having metal handles to ease carrying. 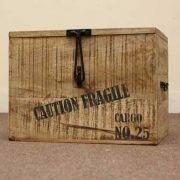 It could be used in a multiple of settings within the home.